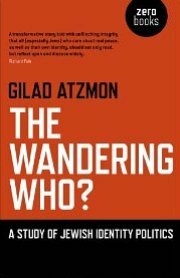 Gilad Atzmon somehow manages to express his thoughts, ignoring any recognised taboos or restrictions. His style is innovative, fresh, and consistently well informed. We have read with great interest his latest book “The Wandering Who? A Study of Jewish Identity” (*). It is a very moving account that should be read by many.